If you know us, you know how house is filled with Cowshed products – in every single room! Yep, we’ve been avid Cowshed aficionados since circa 2009 when we first visited Shoreditch House and had our first whiff of Cow Pat. Ahhhh dreamy. As you might notice, I’m always interested in brand collaborations, so when I saw the latest collab from Cowshed, I was pretty overjoyed! I’m a little bit in love with Scamp & Dude. Founded by the wonderful Jo Tutchener-Sharp, Scamp & Dude is a truly beautiful brand with such an amazing back story…. 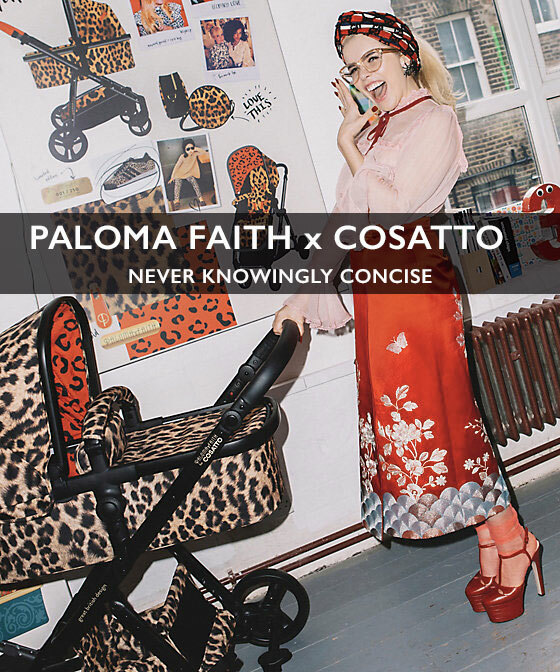 With a long history in the world of fashion and beauty, Jo directed PR campaigns and arranged events for high profile individuals and brands such as Tom Ford, Matthew Williamson, Dolce & Gabbana, Vogue, Estee Lauder, Topshop, NARS and The BRIT Awards. In October 2015 Jo’s life took a difficult turn when she suffered a brain haemorrhage. She had to leave her children for a lengthy stay in hospital to undergo life threatening brain surgery. Every parent understands the feeling you get when you have to leave your child, whether it be a business trip or first day at school. That knot in the stomach and the ache in the heart. It was this moment that inspired Jo to create a brand that helps children feel more secure when apart from their loved ones, and Scamp & Dude was born. The Scamp & Dude slogan (and ethos, if you will) is ‘a superhero has my back’, which tells children that someone is watching over them, even when they can’t see you. I also take this into my own adult heart too. If this isn’t the backbone for a brilliant brand partnership, then I don’t know what is. So what does the collaboration consist of I hear you ask – well, take a look below at the three items that have now been released. Cowshed and Scamp & Dude created this limited edition version of the invigorating Wild Cow room candle. With an unstoppable mix of energising Lemongrass, invigorating Ginger and reviving Rosemary essential oils, this bracing blend of essential oils will create a fresh atmosphere to stimulate the senses and help focus your thoughts. Limited edition, all natural Superpower Spray will help little Superheroes sleep and provide a burst of superpowers when required. The light, floral fragrance features Mandarin, Neroli, a splash of Chamomile and Lavender in a gentle Bitter Orange flower water base with absolutely no nasties. Spray on your little one’s sheets, clothes, their favourite teddy or blanket to help them feel calm and secure both at home and when they’re out in the world. Cowshed and Scamp & Dude created this limited edition version of the uplifting Grumpy Cow room candle. With its invigorating, refreshing blend of Mandarin and Grapefruit essential oils, this zesty citrus fragrance is perfect for lengthening a short fuse, or as a wakeup call. Mandarin can help soothe the nervous system while Grapefruit is a known anti-depressant and both smell delicious, making this candle the perfect pick-me-up. 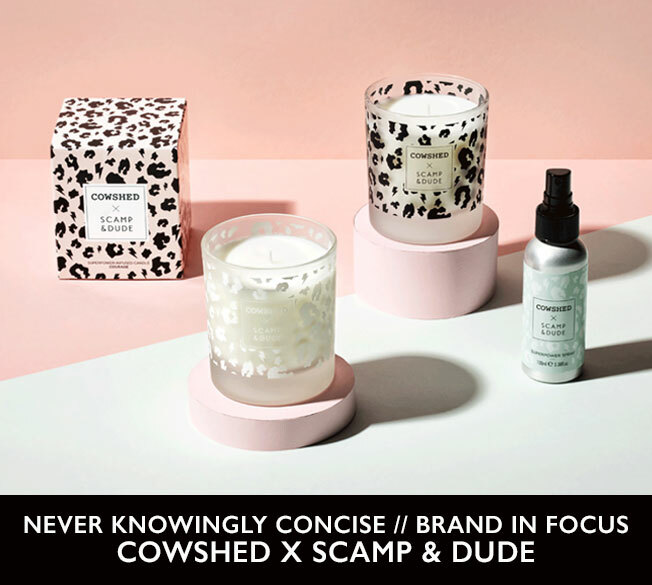 This is such a lovely brand partnership and I do hope there is more to come from Cowshed x Scamp & Dude; but for now, I will admire them from the laptop until I can get my hands on the products and give them a good sniff in real life! For clarity, this is not a sponsored or paid post – but does contain Affiliate links to Cowshed.com. I only promote items that I genuinely like however, so be safe in the knowledge that I’m in love with this brand collaboration.